You want to avoid harsh sunshine from the west directly into the house; You want to have a private space but open-minded when needed; You don't want fabric blinds to create dirt and mold in your room; You want products curtain blinds really durable with time and take little effort to care for it!APM would like to advise you of a unique, useful and effective box-glass curtain product that is durable: Box-glass curtain!The curtain system is completely located in a sealed glass box which has high sound insulation and high thermal insulation thanks to two layers of glass combined together into boxes and insulated Argon gas in the middle. Now also adding curtain blinds, the summer day sun will not be your concern anymore! 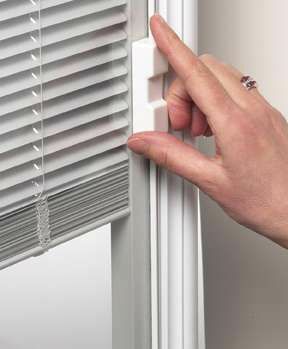 The house is bright and not hot.Curtain blinds in 2 glass layers have 2 operating mechanisms:* Manual control through a powerful magnet system, incorporating the inner roller to help the curtain to move up and down gently! We are ready to supply products nationwide.